University of Delaware Goes Test Optional. Who is Next? Never in my wildest dreams did I think that the test optional policy would go mainstream. For so long, the test optional bandwagon de-emphasizing SATs and ACTs in the college application was led by a small group of liberal arts colleges. Every few years another elite college would sign on to this admissions policy, but this trickle has become more of a steady stream over the past several years. 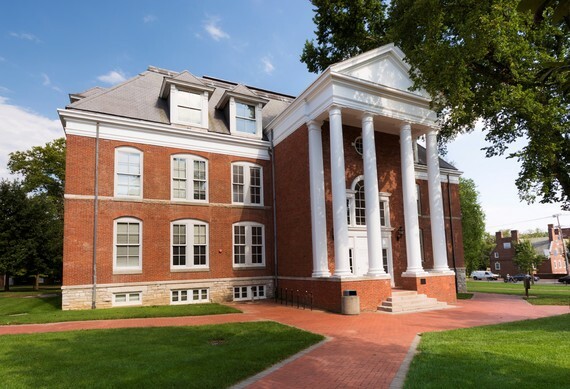 Within the past week, the University of Delaware announced a four-year pilot program to make standardized tests optional for in-state students. It's a stunning turn of events. Something tells me the floodgates are about to open. A strong test optional movement is underfoot and the admissions playing field is about to get more level than it's ever been. I've had a love-hate relationship with standardized tests. It's more than just a hot topic in my profession. It's personal. I had a strong record in high school, but my test scores made me believe for a time that I wasn't worthy of going to college, let alone an elite one. Fortunately, I got into college despite those scores, and I never took anything for granted. I graduated at the top of my class, and spoke at my college graduation. But I often wondered, was it a fluke? I would later find out that students with strong high school records and low scores just like mine often defy expectations. After college, I found myself working in the admissions office of an Ivy League institution. At times, I wanted to pinch myself. I was a small town girl who was making decisions on students who were unbelievably impressive. If their high school records were No. 1 in importance, test scores were No. 1A. Every application got read no matter what the student's test scores were, but if those scores were average or low they were what kept a student out of the running. While I wanted to be an advocate for those kids in the admissions process, the odds were definitely not in their favor. Years later, I left that Ivy League institution to become a dean of admissions of a small liberal arts college. There, I was inspired by the test optional policy. Almost immediately, I learned that they had years of research proving that enrolled students who chose not to submit their test scores in the admissions process ended up achieving just as well as, and oftentimes better than, the enrolled students who submitted test scores. It was a moment of clarity for me, not only as a dean but as an individual who once thought my own test scores would define me. Now more than ever, there is a growing and varied list of colleges with test optional policies. There is still a lot of progress to be made, but we are making headway. With more research being published every year about the need for colleges to focus less on test scores in the admissions process, an admissions revolution is underway. What is most telling about the test optional movement is that every college that adopts it never looks back. They see the positive results of a student body admitted for their four-year record in high school rather than the scores from a four-hour test. The college's faculty are happier with a more engaged student body. Their community is richer with students who want to get the most out of their education. Retention and four-year graduation rates are better than ever. The test optional movement is here to stay and it's finally gaining the traction it deserves.